What's the first thing you do when you get home from work, errands or all-day play? 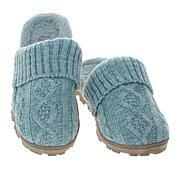 Take off those sky-high heels or clunky boots and slip into something warm and comfortable. 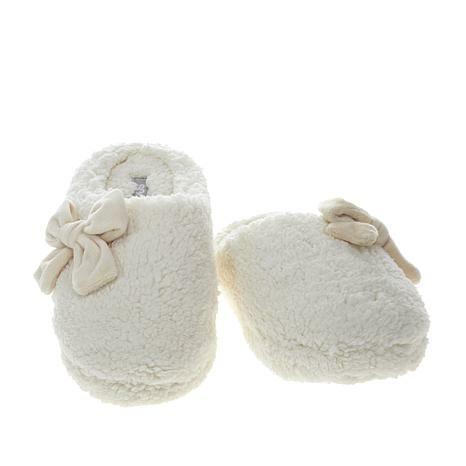 These stylish, plush faux Sherpa slippers feature a soft, faux Sherpa lining and indoor/outdoor sole to give you a look that's not only beautiful but blissful on your feet. I ordered these for my teenage daughter for christmas! She LOVES them!!! They are excellent quality and super adorable! The blush bow is my favorite! So cute! I bought two pairs of these slippers - one pair in blush and one pair in cream. The slippers are cozy and comfortable, and they fit well. However, I don't like the color of the blush pair; they're not really "blush", but I kept them because they're really comfortable for a season. They're also a bit overpriced, even with flexpay. Keep your feet warm and dry in rough weather with these water-resistant fall and winter boots. A family business for decades, Sporto uses technological fabrics and modern techniques to make boots that protect your feet and offer balance and traction in snow and slush. Thinsulate/Polartec linings, cushioned insoles and easy-flex rubber outsoles make these award-winners your best choice. Remind me about Sporto® upcoming shows. 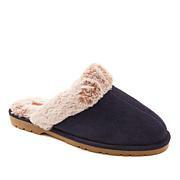 BEARPAW Tilley Suede Embellished Slipper Bearpaw tempts us with the Tilley, a plush slipper with sheepskin footbed and comfy, low-back style. Decked with faceted jewels, this "house moccasin" is set on a low-profile rubber sole to help with traction indoors and during those quick jaunts outside.